Kraven Manor is a free horror game created by 13 graduate students at The Guildhall at Southern Methodist University in Plano, Texas. The game was created in six months using the UDK and is one of the most original and visually stunning horror games we’ve seen in quite a few years. The students will try to polish the game and add more content, but even as it is, Kraven Manor is a game not to be missed. 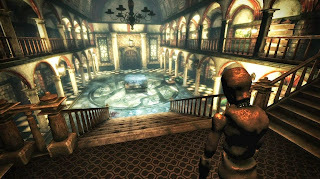 The first thing you’ll notice in Kraven Manor is the amazing visuals, possibly the best ever seen in a free horror game. The design is amazing and the atmosphere is brilliant in every corner of this haunter manor. It’s a treat just walking around and exploring the details, watching the superb visual effects the designers created. It’s not just that; as the game progresses you’ll get to witness plenty of paranormal happenings that will creep you out. The game can be completed in under an hour but you’ll have plenty of epic moments to remember. But Kraven Manor is far from a simple horror game, there’s a particularly ingenious touch to this manor that sets it apart from other games. That is the concept of having to explore the house to find miniature scale models of the manor rooms, which will be used on the scale model puzzle to create the passageways to the real rooms. This adds a touch of twilight zone to the game and gives the player a ‘wow´ feeling that very few games manage to accomplish. This game also takes the clever horror route by focusing on the uneasy and terrifying atmosphere instead of the cheap jumpscare technique. A creature is watching you since the moment you enter the house, revealing itself slowly and at situations that will give you an enormous sense of dread. By the end of the game, things have become extremely chaotic and unnerving. 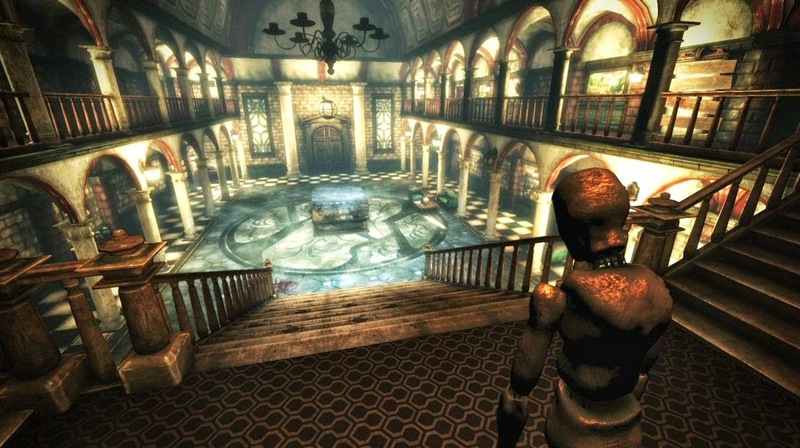 Kraven Manor is a brilliant piece, a horror game unlike any other. The students that created this game clearly have a great future ahead of them.